Since at least now they have a starting point and a definitive path going forward, some of the confused faces seem to dissipate. "Mrs. Pettersen, how do you spell....?" For those that are reluctant to take risks, or for those struggling students/writers, word banks are a helpful tool. As a class, we generate a "word bank" of words we think we will use in our writing that day during Writer's Workshop. These are words that are not on our word wall and cannot be sounded out easily. I also add my own suggestions to the list. I try to keep the list small, at only 8-10 words. Students should be sounding out the majority of the words. 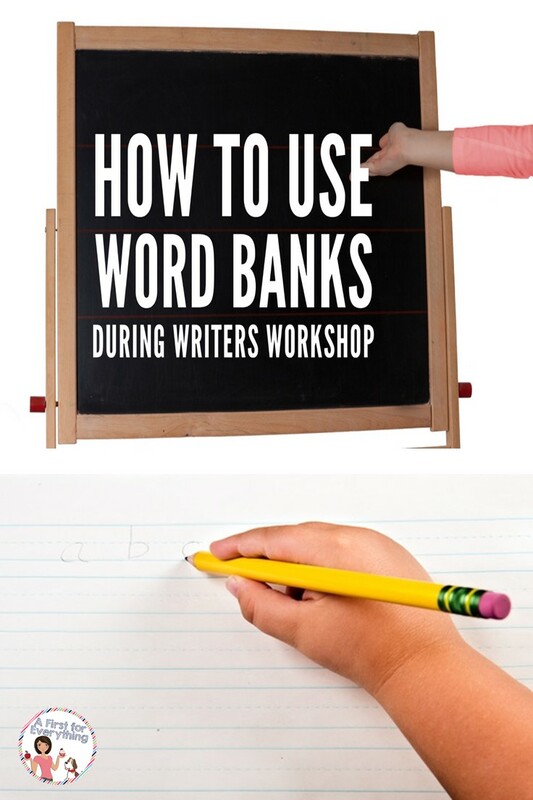 For ELL students, struggling writers and the like, words banks have proven to be a helpful tool in our classroom. Sometimes I type them out as the students dictate them in a Word Doc and display them on our SMARTboard. This seems to be the easiest way, since the SMARTboard is located front and center in our class so students can reference it easily (and frankly....it looks neater). What tricks do you use to help your young writer's during Writer's Workshop?